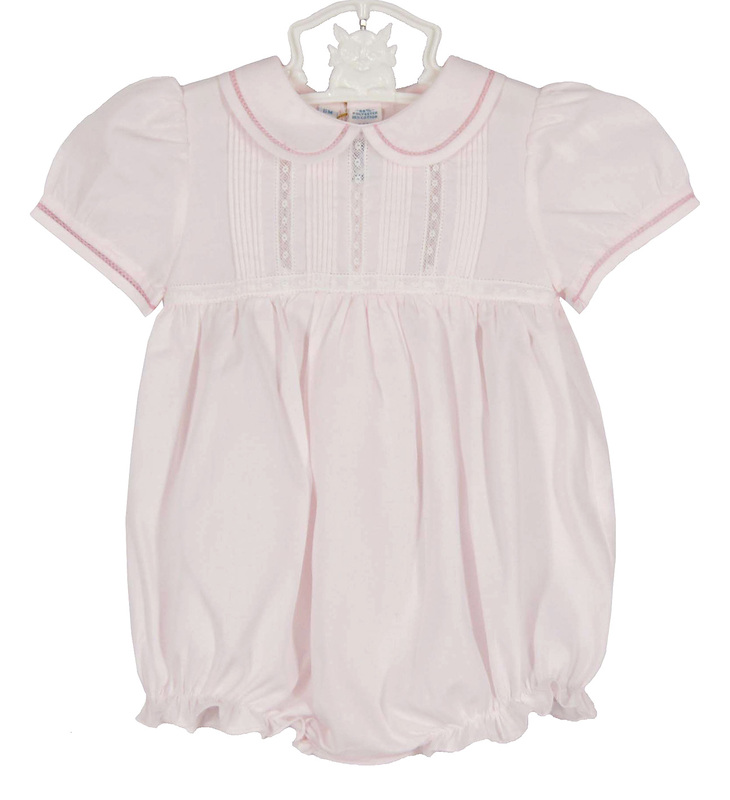 This darling little pink cotton blend bubble is made by Feltman Brothers, a top designer of quality baby garments. 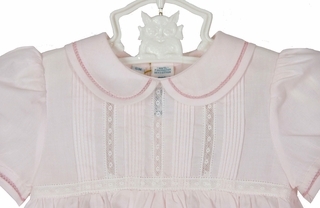 It features a pintucked yoke with delicate lace insertion. This sweet classic bubble has a Peter Pan collar and short puffed sleeves accented with fagoting. The bubble has elasticized leg ruffles with a buttoned back closure and snaps in the crotch for easy changes. Note: This darling bubble is also available in white. Coordinating pink dress is available. See below.